Have We Been Missing Something? 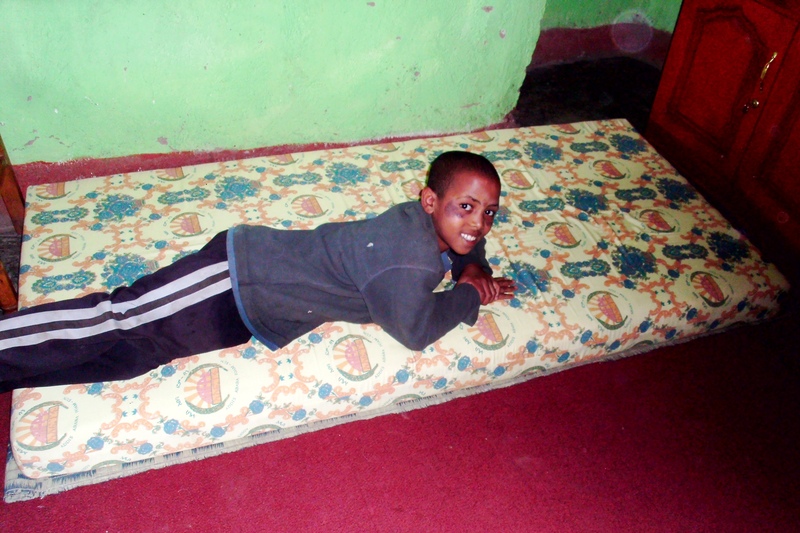 A lot of children in Ethiopia have never had the luxury of sleeping on a mattress. It may not seem like much of a luxury to us because having a bed is considered quite a necessity. 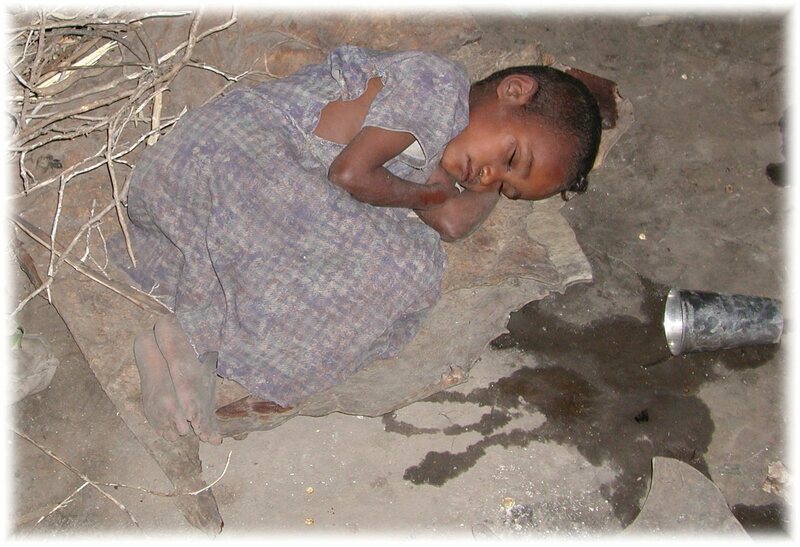 Could you imagine living in a cement home and going to bed every night on the floor with a pile of straw, blankets or old clothes being the only cushion between you and the cement? What about putting your babies and children to bed every night on the cold hard floor? 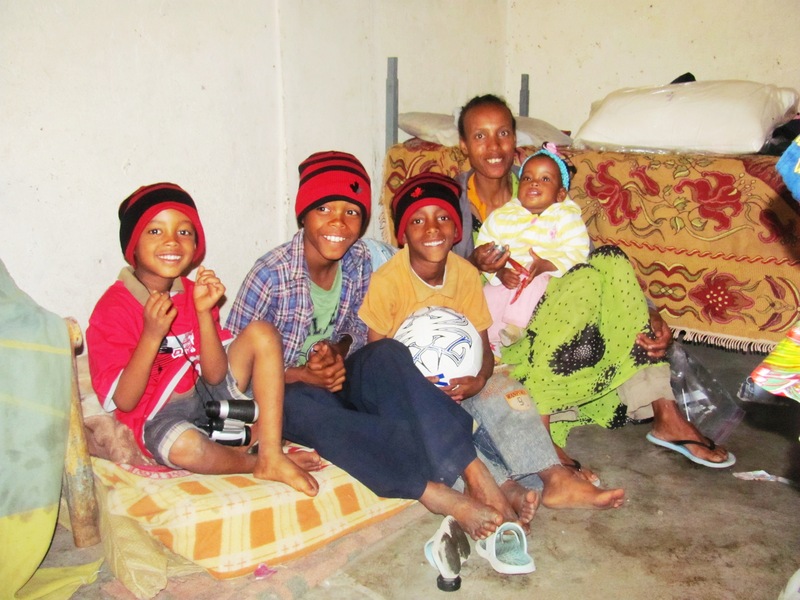 Most of the children who join the BCI program come to us with very little and are in the majority of children without a bed, sleeping on the floor. 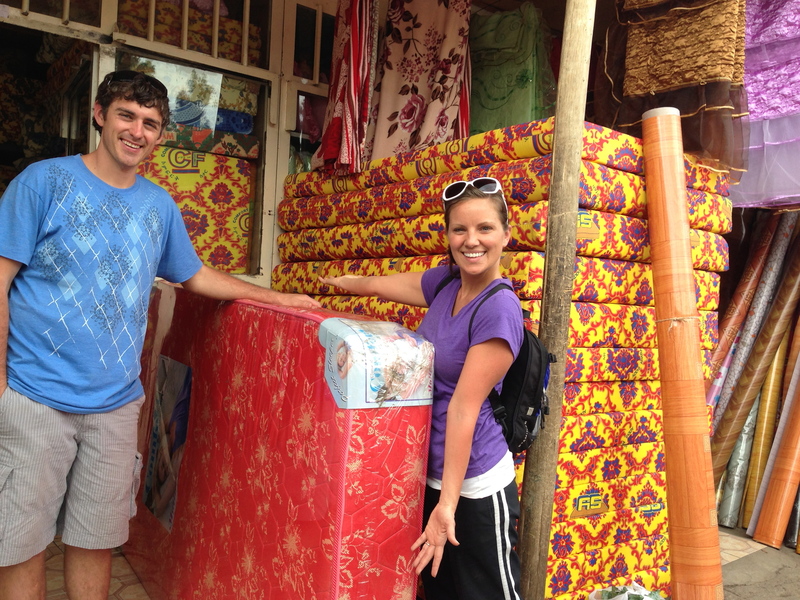 Sponsorships are critical to caring for the children’s needs like food, education, medical support, and clothing but doesn’t address capital expenses like beds. The cost of a bed – a frame, mattress, sheets, blanket and pillow – comes up to $173. 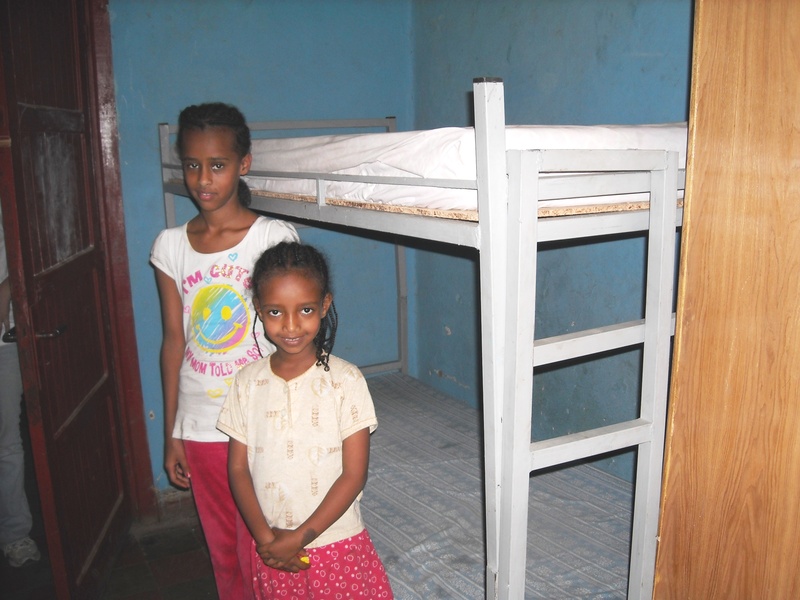 Over the years, several teams and sponsors have seen this need and have gone above and beyond to provide children with beds and through their kindness and generosity, many of our sponsored children now have beds. What a testament to what we can accomplish together! Recent home evaluations done for all of the children have shown us great progress in that out of 202 children in the BCI Program, only 12 children are still sleeping on the floor. Our purpose and passion is to provide the children with as many benefits and tools for success as we possibly can. We focus on providing the children with a great education because education is the foundation of a self-sustainable future and key to breaking the cycle of poverty. Proper nutrition has also been a main focus as it is proven that well-nourished children perform better in school and life. But have we been missing something? Take a moment to consider how well you feel, perform and function after a night of inadequate sleep. After a night of tossing, turning, and trying to get comfortable, I think we all feel the lag the next day. There is no question that a good night’s rest can make or break the day. 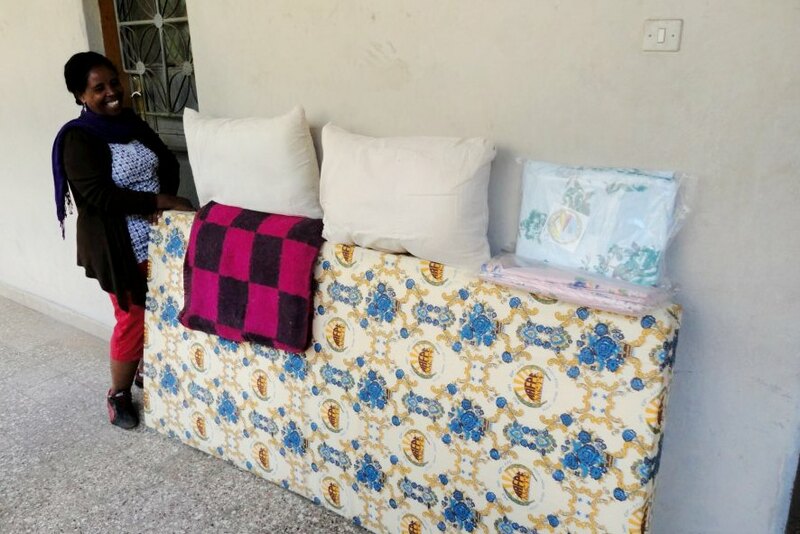 Would you help us afford our sponsored kids every advantage by making a donation towards providing beds for the remaining 12 children in the program who are still sleeping on the floor? 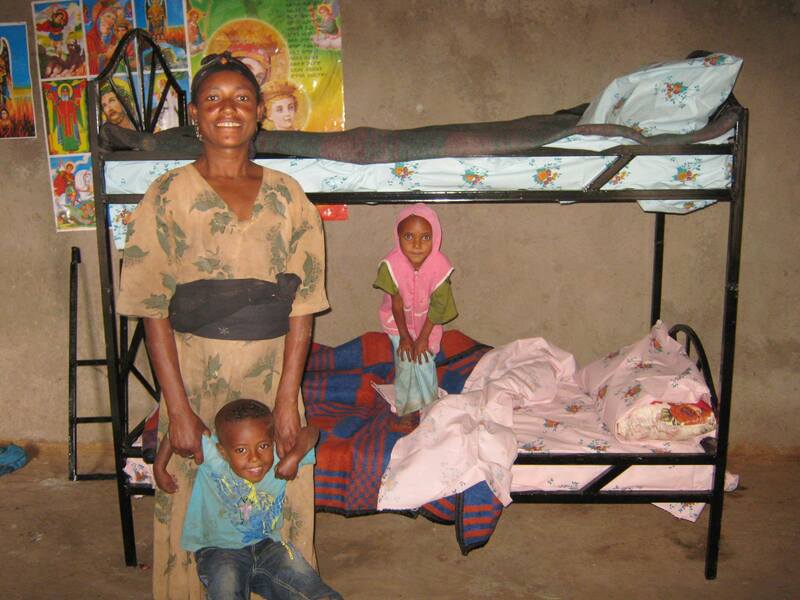 We need $2,076 to finish providing every child in the BCI Sponsorship Program with a bed. 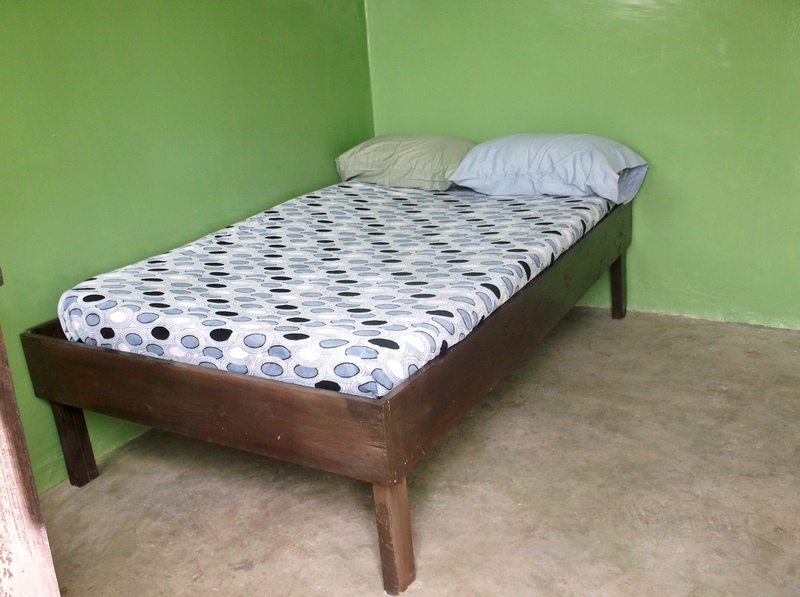 If you aren’t able to donate the amount for a full bed, would you consider donating a set of sheets or a pillow? Perhaps you can afford a mattress? Every donation counts! This isn’t just an investment in comfort but an investment in their future. A good night’s rest will enable the children to wake up and face the day with renewed strength, focus and energy. Thank you for helping us give these precious children their best chance at a bright future! You can make a donation online, via phone or mail. 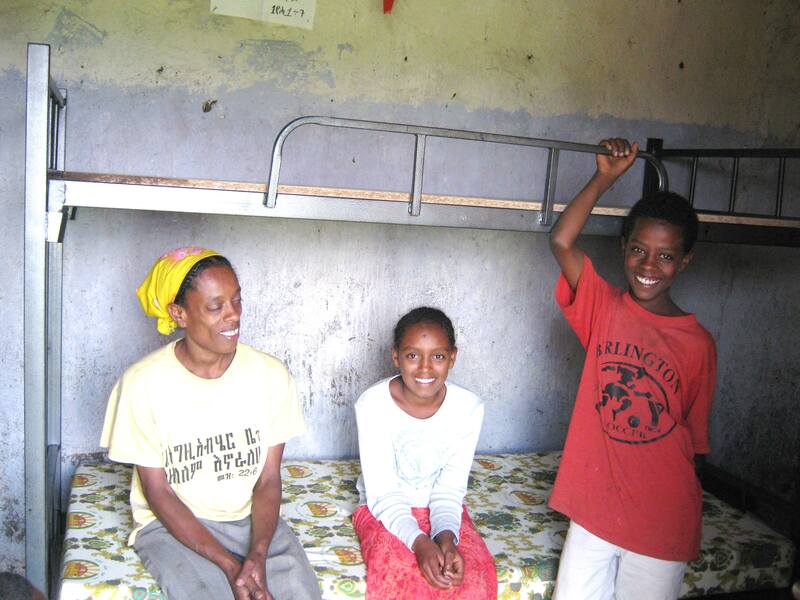 Sara Abiy is a sweet and lovable nine year old who lives with her mom, younger sister, grandmother, cousin and uncle in a house found at the end of a long, uphill road. Sara’s dad passed away long ago, leaving Sara, her sister and mother on their own until family took them in. Sara helps out her family by running errands like going to the corner shop to get supplies like soap and oil, when they can afford them. She is also very artistic and desires to progress in her skills, especially drawing. Her favorite color is blue, like the sky, and her favorite part about church is the singing. Sara dreams of being a pediatrician and she attends school at the BCI Academy in the 4th Grade. Sara is a smart girl who does well in school and loves math. 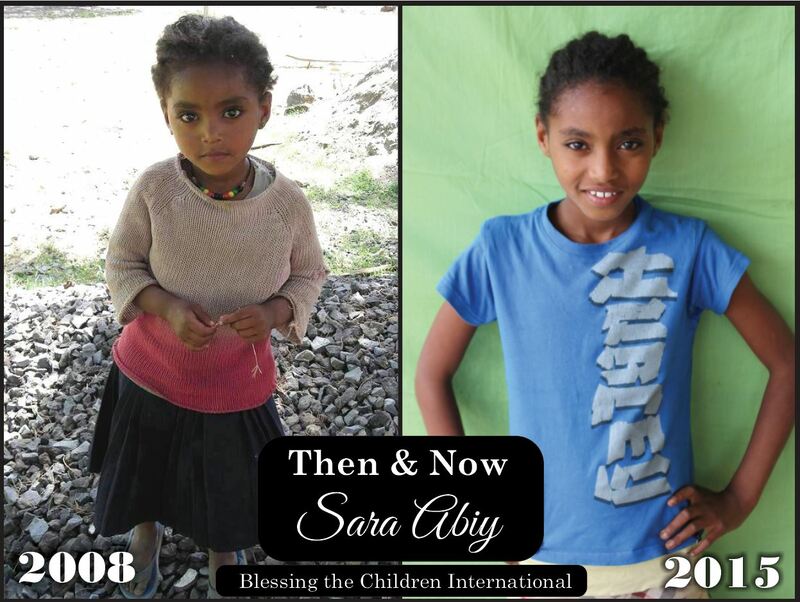 Sara was one of the first children added to the program in 2008 and was quick to receive a full sponsorship from a lovely family. For 7 years, Sara loved writing her sponsors and looked forward to hearing back from them. 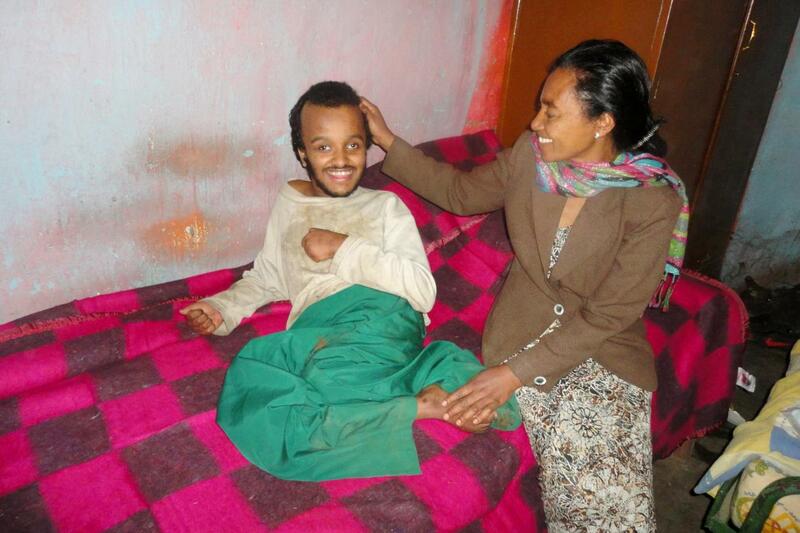 She was happy in knowing that someone cared for her enough to sponsor her, support her and send their love. Unfortunately, Sara’s sponsor family had to cancel their sponsorship after seven years, due to health and financial problems. Sara was sad to lose her long time sponsors and is now in need of a full sponsorship so she can continue her schooling. Would you give Sara a chance at a bright future and enable her to continue school so she can work as a pediatrician, saving lives? 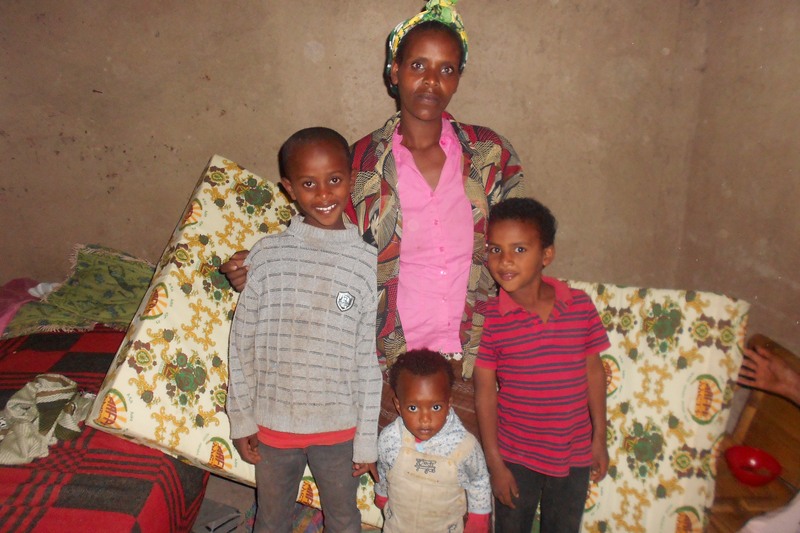 Would you be a part of her life and break the cycle of poverty in her family? Would you consider sponsoring her monthly or with a one-time donation towards her support? You can make a donation or sign up for a sponsorship online, via phone or mail.